It’s back! My Palo Santo Smudge Spray has a new look with the same amazing formula and effect. Palo Santo Smudge Spray was created for those moments when you just need a good smudge, but can’t light up. Have you ever been out in public or in a space where you can’t just light up a smudge bundle, but felt like you needed a clearing right on the spot? If so, this spray is for you. It’s also the smudging solution if you suffer from allergies or have housing rules that prohibit the burning of incense. My Palo Santo Smudge Spray comes in a 2 oz container with palo santo chips and obsidian chip stones. 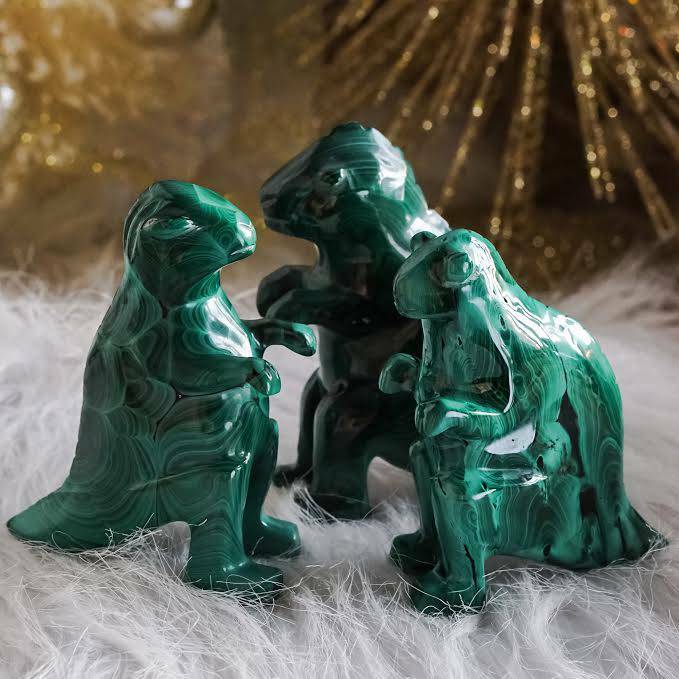 Obsidian is grounding, protective, and trusted to clear negativity on its own – combined with palo santo, you’ve got a purification powerhouse. 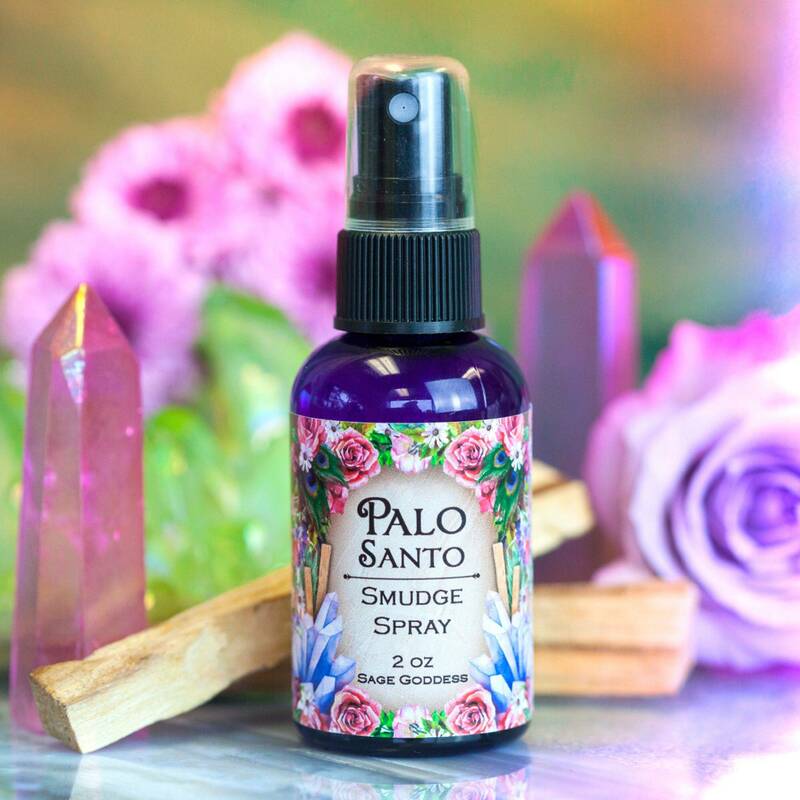 My Palo Santo Smudge Spray is perfect for your pocket, to carry in your purse or backpack, for the car, or wherever you need the clearing energies of palo santo. Smudging is a critical first step in any sacred ritual, as well as an important way to complete and seal sacred work. This ancient practice clears low vibrations and stuck energies. 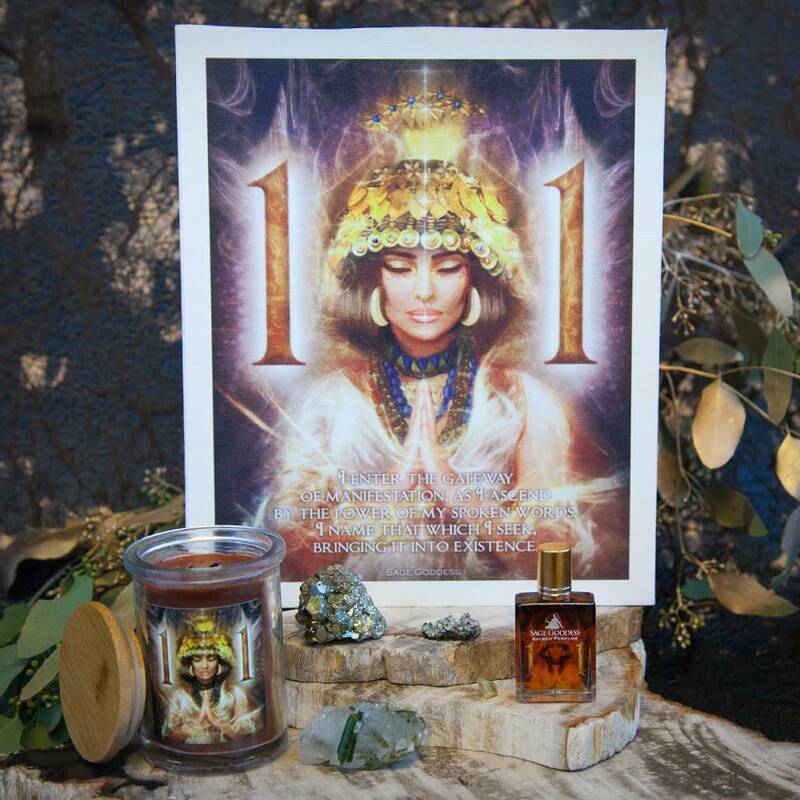 I smudge daily to purify my sacred space before ritual, ceremony, or meditation. 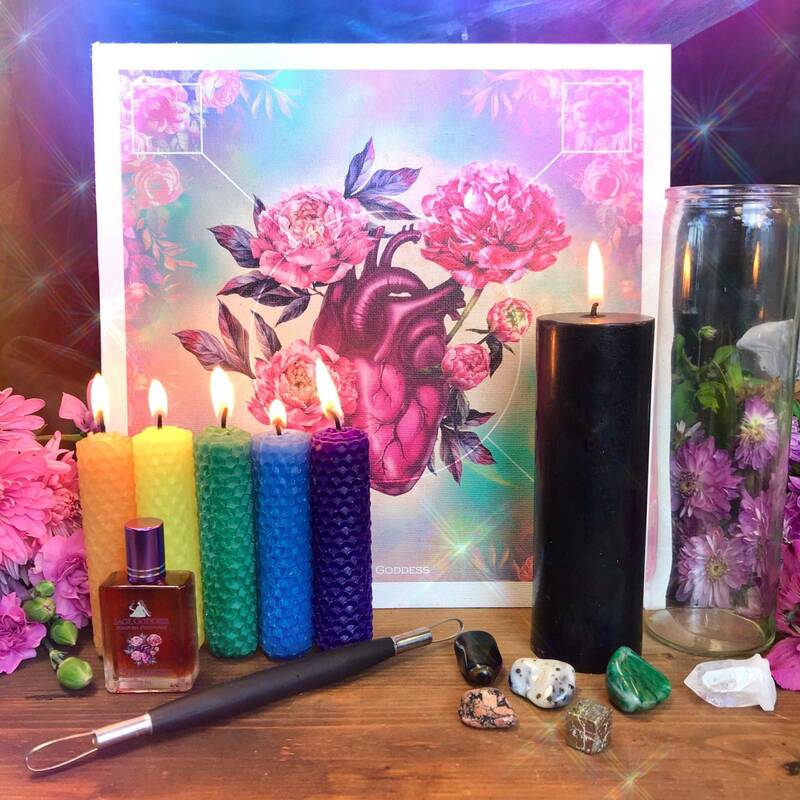 Burning sacred herbs and resins is perhaps the most time-tested method for energetically (and sometimes physically) cleansing a space, but a smudge spray is also an effective option. Aim your spray up and spritz into the air, where it will be carried up and around. It will do the job! You can immediately clear your space and surround yourself with uplifting and positive vibrations whenever you want, during sacred work and all the moments in between. This listing is for one (1) 2 oz container of Palo Santo Smudge Spray. Yours will arrive lovingly parceled, ready to purify.